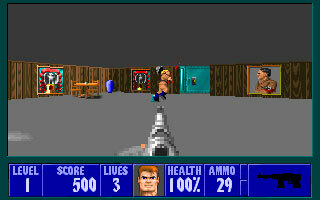 Welcome to my Wolfenstein 3D and Spear of Destiny site. This web site has some information on the games and some other stuff. I will update this site often, so come back often for more stuff. This is a small site, but it will get bigger later on. I am going to try to update it often.